We entered the UW as young students, and we left as adults exploring a new world. We entered looking for an education, and we left determined to make our mark. Our college years shaped who we became and those lessons resonate to this day. Return to campus for a weekend of memories, friends, fun and reflection. We’ll celebrate those exciting days and the Husky legacy that we all share. With a nod to the Beatles, we invite you to COME TOGETHER…RIGHT NOW…OVER U(W). ASUW Shell House | 4 p.m. 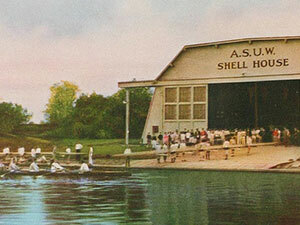 Built in 1918, the ASUW Shell House is on the National Register of Historic Places. Loyal Huskies recognize its significance as home to the athletes and coaches of Washington Rowing from 1919-1949, including the legendary “Boys in the Boat.” Plans are underway for its restoration. Depart from Waterfront Activities Center | 5 p.m. Cocktail Cruise | 5–6 p.m.
Dinner at Woodmark Hotel | 6 p.m.
Dessert Cruise | 8 p.m. 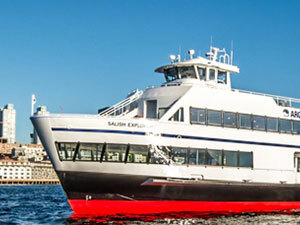 Arrive at Waterfront Activities Center | 9 p.m.
We’ll gather on an Argosy Cruise fleet for a cocktail party and class photo, hear from special guest UW Provost Mark Richards, and then set sail. Dinner will be served at the Woodmark Hotel in Kirkland. Join us on the cruise or meet us in Kirkland. After dinner, we’ll set sail on a dessert cruise before arriving back at the Waterfront Activities Center. Come adorned in your best Husky festive attire and don’t forget your comfortable shoes! 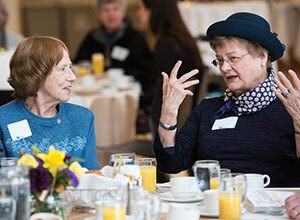 HUB North Ballroom | 10 a.m.–12 p.m.
Meet and greet with your fellow 1969 classmates, as well as other alumni that graduated more than 50 years ago. 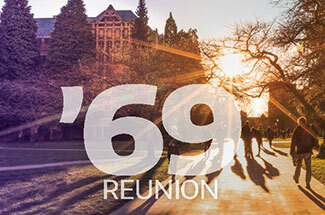 Class of 1969 attendees will receive special recognition as the UW’s newest golden graduates! HUB Lyceum | 12:30–1:45 p.m. 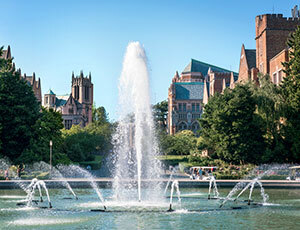 Remember and reflect on our transformative time on campus at a moderated panel discussion with Elizabeth Becker, ’69, journalist and author; Ray Hallinan, ’69, UW Daily editor and journalist; and Bob Merry, ’68, UW Daily editor, journalist and author. The theme is a discussion of life on and off campus from a journalists’ perspective. Prepare yourself with this look back at 1968 with Bob’s essay in Columns magazine. Depart and return to the HUB | 2–3 p.m. Explore campus with a walking tour led by a student or with a self-guided tour. The student-led tour will focus on campus today and its evolution since 1968, while the self-guided tour will take you on a walk down memory lane — at your own pace — and include a booklet with map and suggested areas to visit. 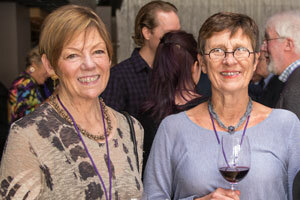 HUB Lyceum | 3–4 p.m.
Join us in raising the glass to old and new friends as we conclude our 50-Year Reunion in style. On Friday, you’ll enjoy complimentary parking in lot E19 near the Waterfront Activities Center. At one of three digital pay machines near Husky Stadium, choose Option 3 — Pre-Arranged Parking. Enter parking code 107859. Take the receipt and display it on your dashboard. For those opting out of the cruise and meeting us at the Woodmark Hotel, paid parking is available at Carillon Point. On Saturday, complimentary valet parking is available at lot N22, near the HUB. Tuition in the fall of 1965 was $115 per quarter or $345 per year. Today, it has risen 3317% to $11,445. These costs don’t include textbooks, fees, or housing costs. Our intent in establishing the Boomers’ Endowed Student Assistance Fund is to support hardworking students in need of financial resources. These students are the historic backbone of UW and the lifeblood of our region, though many are ineligible for financial assistance programs because of their families’ income and/or FAFSA score. Join your “Baby Boomer” classmates by coming together to support Huskies in need of financial assistance. Our committee has a goal of 100% participation, and $150,000 for this endowment — names will be recognized at the reunion dinner in June. Join your peers with a celebratory reunion gift, today. To give via gifts of stock, IRA transfers, or estate gifts, contact giftinfo@uw.edu or 206.685.1001.